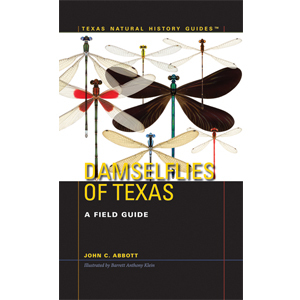 Including nearly half of all dragonfly species found in North America, here is the definitive field guide to the dragonflies of Texas, which will be a valuable resource for naturalists throughout the region. 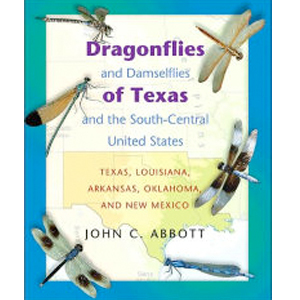 Dragonflies and damselflies (together known as Odonata) are among the most remarkably distinctive insects in their appearance and biology, and they have become some of the most popular creatures sought by avocational naturalists. 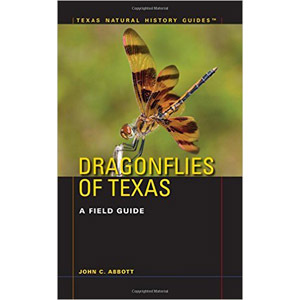 Texas hosts 160 species of dragonflies, nearly half of the 327 species known in North America, making the state a particularly good place to observe dragonflies in their natural habitats.